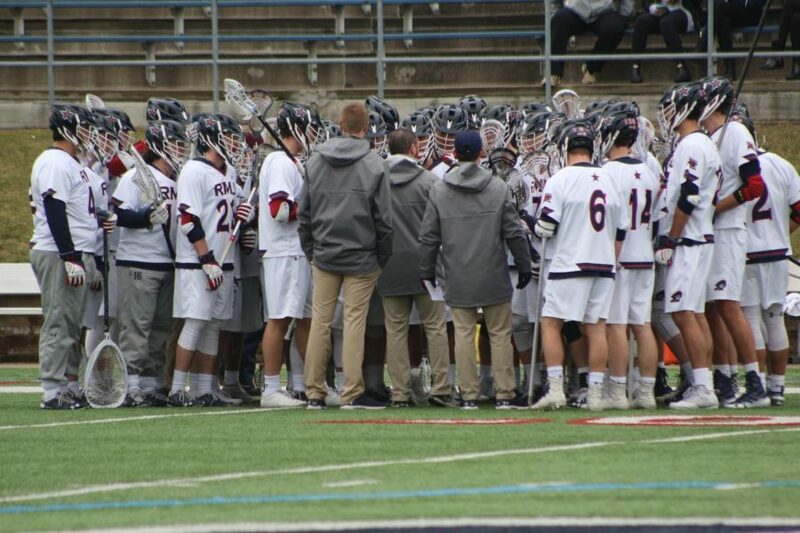 MOON TOWNSHIP – Robert Morris men’s lacrosse hasn’t had the best of luck against non-conference opponents, going an unexpected 1-4 through the first five games of the season. The Colonials will have another chance to pick up their second non-conference win of the year when they play the Marquette University Golden Eagles (2-3) Tuesday at 1 p.m. before Robert Morris begins a four-game conference stretch. RMU has gone through an unsightly 1-4 stretch, losing their last two games, one of them being against a nationally ranked team. In the most recent game against the Canisius Golden Griffins (3-3), they fell to the Golden Griffins by the score of 12-8. Canisius made 15 saves while Robert Morris made 12. As for the turnovers, the Golden Griffins had 21 while RMU had 18 turnovers. In the prior game against the #13 High Point Panthers (6-1), the Colonials jumped out to a strong 4-1 lead to start, but that quickly dissipated after the Panthers tied the game with RMU at 4-4 and then again at 7-7. The fourth quarter ended at 15-15. The Panthers got the best of the Colonials with the winning goal in double overtime to win 16-15 over Robert Morris. Marquette is coming off a loss against the Cleveland State University Vikings (3-4), losing 7-5 last Saturday against the Vikings. Looking at Marquette’s recent stretch of games, the Golden Eagles have lost their last three games after they won their season-opening games against the Bellarmine University Knights (0-6) and Jacksonville University Dolphins (1-6). The Golden Eagles have one more game after they play the Colonials against the University of Michigan (3-2) before they play against the Georgetown University Hoyas (6-1) in Big East Conference play on March 23. Marquette will be looking to accomplish two things. They will be looking to break their three-game losing streak to start, and then they will be looking to get the win in order to get back to a .500 winning percentage on the season. The Colonials will be looking to prevent picking up a fifth loss and to pick up another non-conference win. Alex Heger (RMU): Heger didn’t have the most spectacular game against Canisius, as he saved only 12 of the 24 shots-on-goal that came his way, which is half of what came his way. Heger was recently drafted into Major League Lacrosse by the Ohio Machine. For the 2019 season thus far, Heger has played for 280 minutes, allowed 72 goals so far to average out 15.38 goals a game. Heger also has made 56 saves to average out a .438 save percentage. Combining his results from the last game against Canisius and his season stats, Heger will need a good showing for the Ohio Machine, starting with Marquette. Tyson Gibson (RMU) – Gibson is on here again because he is also someone who continues to have a strong 2019 season, but he also has a bigger mission hanging over his head, which is to continue delivering strong numbers over a long-term basis due to the fact that he was recently drafted by the Atlanta Blaze of Major League Lacrosse. During his last game against Canisius, Gibson scored two goals with two assists for four points with 11 shots made in the game. For the year, Gibson has 10 goals and six assists for 16 points and 37 shots made as well. Griffin Fleming (Marquette) – Fleming has had a slow start to the 2019 season. Through five games for Marquette, he scored only three goals with two assists for five points and seven shots scored. In 2018, as a first-year player, however, he played through 14 games and scored 10 goals. He had nine assists along with the 10 goals to total 19 points. In the game against Cleveland State, he had scored one goal and one assist for two points and made two shots as well. Provided that he’s going to continue receiving substantial playing time, Fleming is someone who is on the rise for the Golden Eagles. 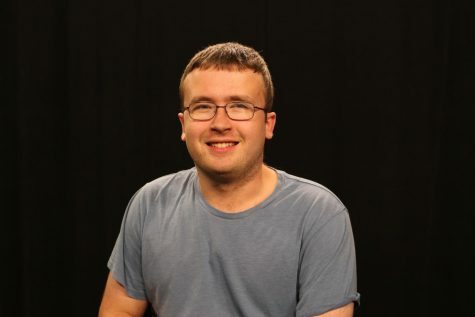 Chris Rolfing (Marquette) – Rolfing is the regular goaltender for the Golden Eagles who will be looking to deliver a big performance for Marquette after having lost three consecutive decisions. During the last few games, Marquette has allowed 30 goals to get by them, so Rolfing is someone who will be wanting to step up to stop the bleeding for the Golden Eagles. I predict Robert Morris to rebound against Marquette University and win it, 13-9. Marquette also is on a three-game losing streak, so with Heger and Gibson stepping it up for RMU, the Colonials can easily rebound against the Golden Eagles.